Jill fell for the BOGO offer from that MyPillow guy and boy does she regret it. Have you woken with neck pain from sleeping in an awkward position? Often this ache is nothing more than an annoyance, but it can sometimes be extremely painful, preventing you from turning your head. Occasional neck pain from sleeping incorrectly is a common issue. Deep in sleep, your head can fall into a position that puts unnecessary stress upon your neck muscles. After a bit, your neck may get agitated. Your sleeping brain might do you a solid and command your body to reposition itself so that your neck gets a little relief. Alternatively, you ignore the agitation, exacerbating the strain. As a result, you’ve got a pain in the neck the next morning. Damn you, sleeping brain! There’s a lot of different things you can do to avoid this sort of neck pain after sleep in the future: change your sleeping position, try a new pillow or even, god-forbid… exercise! But what can be done about the neck pain I’m feeling right now? You’re probably not very interested in exercise right now. You need quick relief! Here’s how to get rid of neck pain from sleeping wrong right now! Give your neck a rest. Your giant head weighs around 11 lb. That’s a lot of weight that your neck needs to support. Give your muscles a break. If you’ve got some time to spare, lie down. Make sure your head in a neutral position and that you’ve got a comfortable pillow. More rest is often the best remedy even if you just rolled out of bed. Do your best to avoid stress. Are you worried that the boss will find out you’ve been stealing from the business for years? Scared of an early death? Forget your problems and watch a movie or read a book! I recommend House of Cards on Netflix. It can work well for some, but cooling can aggravate some more serious issues, so If the pain worsens, remove the ice immediately. Have a partner massage the affected area. Who doesn’t appreciate a good massage? Neck pain or not, it generally makes life in the moment a little better. A warm damp towel (use a microwave to heat it) can help to increases circulation and is often effective in providing relief to stiff muscles. Beware, heat can make inflammation worse, so if your symptoms deteriorate, remove that heat immediately! Pop a few of what modern medication has to offer. Aspirin, acetaminophen, or ibuprofen can help a lot if the pain isn’t too ridiculous. It should go without saying, but please follow the directions on the packaging. Stretch the muscles in your neck. Slowly turn your head to the left. With your left hand, apply very light tension on your chin so that your head turns slightly more. Hold for 20 seconds and return your head slowly to center. Repeat on the right side. Tilt your head to the left and try to touch your left ear to your shoulder. With your left hand, apply light pressure on your temple. Hold for 20 seconds and repeat on the right side. Bend your head forward and try to touch your chin to your chest. Relax the shoulders as you do this. Hold for 20 seconds and repeat. Lie on your back with your knees bent and a pillow under your head and neck for support. Nod your head forward gently, as though you were saying “yes.” Hold the position for 10 seconds and then relax. Repeat 10 times. Consistent pain in the neck? Remember, these are just temporary solutions to neck pain from sleeping incorrectly! If you had a bad night, try all of the above and hopefully you’ll get some relief. If you’re experiencing neck pain from sleeping on a consistent basis, do something that addresses the root of the issue(s) rather than just treating the symptoms. Want a solution to a consistent problem? Let me suggest something easy. The wrong pillow can exacerbate or even be the cause of your neck pain. Often the solution is simple: replace your pillow with a more suitable one. A good pillow will keep your spine from bending unnaturally upwards or downwards and provide comfortable, even support for your entire head and neck. 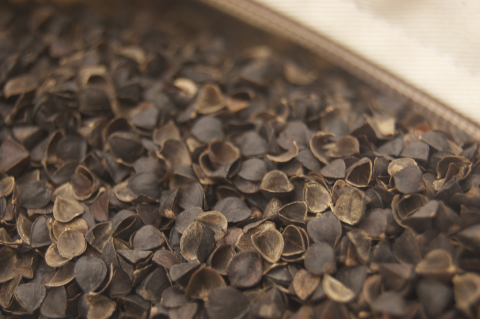 Beautiful buckwheat hulls: Hullo Pillow’s contents are revealed. I’ve been sleeping on buckwheat pillows for years and haven’t experienced a single bout of sleep-related discomfort since. In fact, I like these unique pillows so much that I decided to manufacture and sell them. Don’t take my word for it! Our customer’s reviews speak for themselves. Sleep on Hullo buckwheat pillow for 60 nights. If it doesn’t work for you, just ship it back to us and we’ll refund the purchase price. What Are the Benefits of a Buckwheat Pillow? Sore Neck? Try a buckwheat pillow! If Hullo doesn't help you sleep better, return it to us and we'll refund the purchase price. Thanks a lot! I followed all the treatment steps and it’s getting better! I just hope it’ll go away soon though.. Thanks, I’m twelve and my I woke up to pain in my neck. I didn’t know what to do so I went to school like this and told all my friends. They said to do exactly this. I am twelve too! But thankfully I didn’t have to go to school because it was on a Sunday. I just woke and my neck was hurting sooo bad! (yesterday) and I looked up how to make it stop hurting clicked on this first and today I’m trying it right now and is going away! Holy crap. All of the twelve year olds. But I sleep in the weirdest positions (means I wake up in them) and my beck kills me. I don’t have much stress in my life, may be my position. My mom tells me to use 1 pillow. I’ve tried that for about 1 week now. Still hurts but the stretching helped, thanks! Please may I ask what a Beck is? I’m twelve too!!! I woke up with pain in my next and it hasn’t went away for three days. I hope it will get better.? Some of the stretches really hurt. I’m 14 and I’m currently on holiday and since I woke up with it jumping in the the pool didn’t really help . I woke up with this very severe pain in my neck, had me going through a very boring day, because I couldn’t do anything, But all try all this thank u..
Idk if it’s just I’m sleeping on a nerve wrong or something. me neither :0 maybe i can get a friend to do it? I’m a 13 year old dancer so I sleep in some crazy positions. I just can’t help moving around in my sleep. I always start in a normal position but end up sprawled across my bed with my neck turned some random way. Im 13, I woke up today with a pain in my neck. I slept on my neck crooked. I have been doing these stretches at school, and they seem to be reliving the pain. Thanks! I’m 13 too! I woke up with a neck pain this morning and when I look up to the sky it’s agony. my mum has told me that she has seen me sleeping in rather strange positions recently so not sure if that helps. I’m 11 and I’m in acting I woke up with this pain and I’m trying the exercises but they don’t seem to go away it’s kinda annoying because my role is very exaggerated with head movements. Hi, have your parents check out your pillow and then Fibromyalgia. It won’t kill you but the older you get the pain can get worse. Good luck. Did i miss something… wny is everyone sharing their age?? and why does everyone with neck pain happen to be 12 or 13? Pro tip: no one cares how old you are. Just because a person starts out with pain at an early age doesn’t mean the pain isn’t there. When I was 12 or 13 my legs would hurt at nights until I would cry. Now I’m 65 yrs old and the pain has worked all up my body. I have Fibromyalgia and Arthritis. I’ve had a crick in my neck for 3 months. These pains start out early regardless of age. These pains are serious to these young people. I don’t laugh at pain regardless the age. I have excruciating neck pain, and laughing while read it through these comments has not been a fun experience. My “giant head” weighs 20lb, that’s when I first lost it, and now everyone is 12 years old, I can’t even… I’m now in the fetal position due to pure laugh pains. Try seeing a physical therapist who specializes in dry needling. Or a chiropractor. Your neck and sciatica could be related- if muscles in your back and/or pelvic floor are off it could affect your whole body. Hope you find some answers. You’re lucky, enjoy life. Take care..
I’m twelve and have neck pain that has got a bit worse since I woke up. Just tried these stretches Joel it has gone by the morning. Ever heard of over sharing? Pain can mean very different things at different ages. It is an important part of the medical history and should not be ignored nor taken lightly. I commend the youth for seeking answers and, most likely, sharing info with friends and, thus, prompting more of them to do the same. Taking care of one’s own health early on may help prevent many chronic diseases from developing later in life. toss those two pillows out and find something that is thick enough! 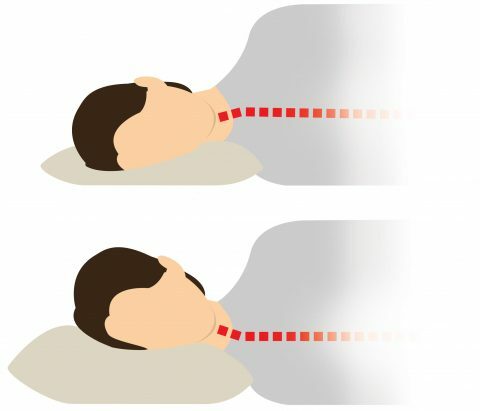 People who suffer from neck pain because of sleeping positions, high chance is that their neck is already injured. Especially young people and children because they are always on their phones. The chinese therapy can really help, go to a massage clinic and let them assist you, with the chinese massages you will definitely get better but of course you have to do your part. Use your head to trace the chinese word 米, stoke by stroke as it activates every muscle in your neck. Your neck is precious, you only have one for your entire life. 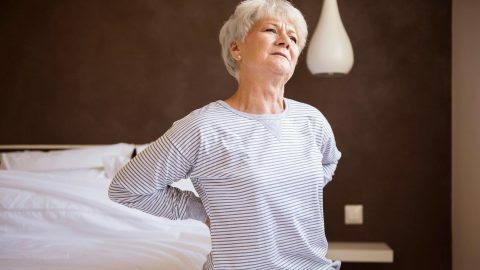 If you damage it now, it will only get weaker as time goes by which will lead to alot of health issues ( headache, dizziness, severe back pain, numbness at your hands etc) because your spinal cord which connects your neck is also connecting other parts of your body. Good luck and dont take your neck for granted ever again. Exact situation I’m in, how did you fix it? I would suggest putting rice in a sock and heat it up in the microwave (I do not know how long), I would also try sleeping on the side without the kink. If these do not work, then I would recommend going to the doctor. What about chem trail on your pillow? How do you prevent that? I’m not 12, but my neck hurts sooo baaaaad ? I had to leave work cause I was just unable to turn to the left or the right to see around me. Ive been trying these stretches all morning. And I don’t take any medication…. Maybe sooner ‘icy-hot’ ointment will help. Hope Everyone’s necks are better ? 12 year olds these days?? Thnx I’ll try these exercises. Last night I completely slept on my neck wrong and it’s been killing me all day. I took some Motrin, filled a soda bottle with really hot water and have kept that on my neck, and even had my husband massage my neck for over an hour when he got home from work, but none of that has helped any. I’ll Never use his pillow again. Anyway some good points made. I went off a sledding jump when I was 13 and had whiplash from a car accident when I was 17. I wake up every morning with a stiff neck and trap muscles. For years….I have tried to figure out if it is just my neck that is the problem or the pillow….unfortunately for me it is both. No joke I have probably spent $2,000 on pillows. Nobody understands it because their neck pain passes over a few days (lucky ducks but I get that it is weird to have neck pain out of nowhere). But when I wake up it is the same stiffness everyday…even a physical therapist said sleep can’t do that much damage. It is your posture…my posture is not perfect but I will work on my posture all day and feel pretty good. But then the cycle will start over again in the morning with a stiff neck. If it gets really bad it will “go out’ which means it gets inflamed and hurts/sore to move. Someone mentioned not being able to do things…well this has severely impacted my life. I was the class clown, fun loving kid. And I still make my kids laugh a lot. But in general I have become a bit of a recluse because everyday is dealing with this neck issue….I am not making new friends and it is hindering the quality of my life drastically. Hate to admit it but a few times I thought of suicide to just end the cycle. But I can’t do that to my boys and wife…the crazy part is that in spite of all this I have created a business that generates a good amount of money. But I learned the hard way that money is great but I would give it all back for zero neck issues. I love basketball and enjoy volley ball but it is uncomfortable to look up. I still play but can’t do it with other guys becuase they play to rough and my neck is vulnerable. I realize this is TMI but I guess I needed to unload. Things I have done over the years to make it worse. 1. 40 lbs over weight. 2. Not great posture but trying..
3. Didn’t stick with overall stretching program. Things that do help people with my type of injury. Neck specific exercises to strengthen and stretch. “Finding my pillow” ????? I’d totally watch that! Hey Jim, it’s been almost a year since you’ve written this. I hope you found what you were looking for to ease your neck pain. I came here to find help for my wife and amidst the noise and the 12 year olds (whom are no longer 12) I saw your comment. I usually never reply to any type of thread I may come across but yours was different, I could feel how much you wanted to be better and it resonated with me. I have yet to find an answer but I sincerely hope that you have. Hi Jim…I know it’s been a while since your post, I’m a bit late. But I too noticed your post and just wanted to say something. My husband suffers from chronic pain (3 combat tours and now construction work). As you mentioned you have a wife and boys, I’d just like to thank you. My boys and I are so grateful that my husband keeps going through the pain. I see how hard it is, and I wouldn’t wish it on anyone. So thank you for not giving up on yourself. Your family is very fortunate to have someone so strong. I hope your search has ended by now, and that you are feeling better. Best wishes. Is This A Problem Or Is This Natural? I have tried all these, But my neck is KILLING ME. I dont know if its serious, It started yesterday night when i was hanging out with some friends watching a movie and it began to hurt. When I woke up thi morning, It was so bad I couldnt move. It still hurts just as much, PLEASE HELP! Someone asked what is a Beck. I am sure he\ she meant Back. I m 12 and this pain killing me when i try to look other side i had such experience in past but i forgot how it will get away..! I need time machine so that i can watch naruto full night and can not sleep. Wtf at all of these 12 year olds ? Y’all need to be more careful being preteens. But seriously, I’m 24 (I’m old) and I think I pulled something in my neck while working out the other day. Hope the pain goes away soon. I am 21. I have had a bad headache for days and today I woke up with my left shoulder and left side of the neck hurting like hell. Bending forward gives me headache again. I am often stiff so i’m guessing it’s tension as I have no fever or any other symptoms… And I probably sleep awkwardly as well, I thought I was lying in a slightly awkward position when going to bed last night but I did not change it because it felt comfortable at the time. I’m not 12, actually I’m 19, and will be 20 in a couples months! Anyway I woke up this morning and I cannot move my head to the right at all! It’s excruciatingly painful, and I hope to find anwers to my problem. I think after reading this I’ve found some things I might try like the stretches and heat/ice. So thanks all you pain in the neck peeps? Also this has been a good time reading all this! But it makes me a little worried how many 12 year olds have neck pain? I accidentally put toothpaste on my neck,because I had shingles two years ago on my face,which affected my eyes! I couldn’t see what the tub said! Of course it didn’t help! Is there a home remedy that may work? Also some of these answers are ridiculous especially the ones using unnecessary bad language when there are especially children reading this! Shame on you! Have more respect for yourself, not only the children! God knows all things,sees all things and hears all things so respect your God! If you don’t believe there is a God, you may soon find out! Psalms 83:18 ! I’m 12, and my neck was sore all the time so I listened to you and went to church. My pastor says he’s a back doctor and knows just how to fix it if I stick around after Sunday school. I know it’s true because I always see him touching the other boys on their backs. This is the worst batch of fake reviews I’ve ever seen. I mean really, a gathering of the 12 year olds in some random pillow website? How dumb do you think people are? I’m 13 and I woke up fine, then later that day my neck started to hurt, then it got worse. I want to stretch it but my right side of the neck goes into severe pain whenever I put my chin past the center of my body. My neck is in severe pain and I don’t even know if this was the problem, me sleeping on it funny. If it helps anyone, when I woke up, my hands were asleep. HELP? Why are there so many 12 year olds with neck pain? Hahaha unless it’s the same person commenting multiple times? I just woke up today with terrible neck pain. Worst Ive ever had. I must have slept on it awkwardly because I find my pillow perfectly comfortable. Pingback: Sleeping Without a Pillow: Is it Better for Your Neck?